We band it with the uniquely numbered US Fish & Wildlife band. This is the first priority because once the bird has this on, we can identify it later even if it escapes. 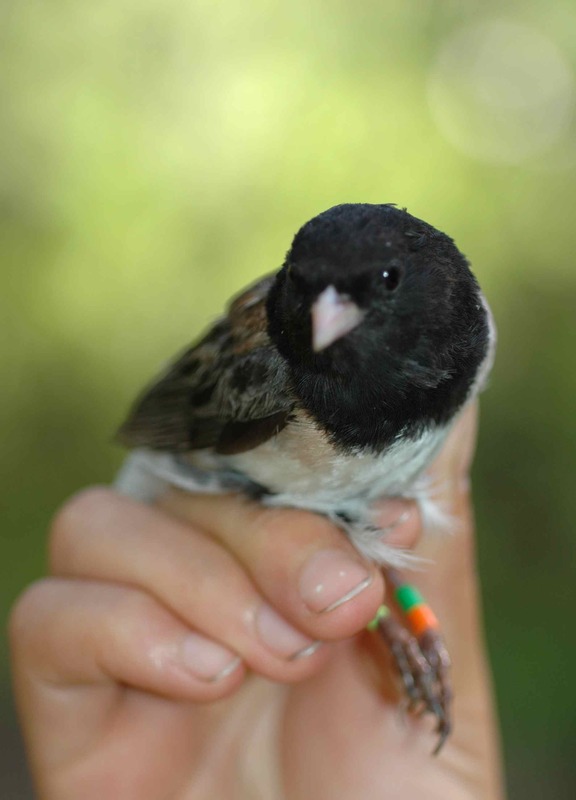 Then we add the three colored leg bands so that we can identify it later even from a distance.